This December, Four Corners Animal Hospital is going to focus on senior pets!! What is a senior pet you ask? Well, that question is not as straight forward as you might think. There is a myth that is still floating around saying for every one dog year it is an equivalent seven human years, but that is not exactly accurate. 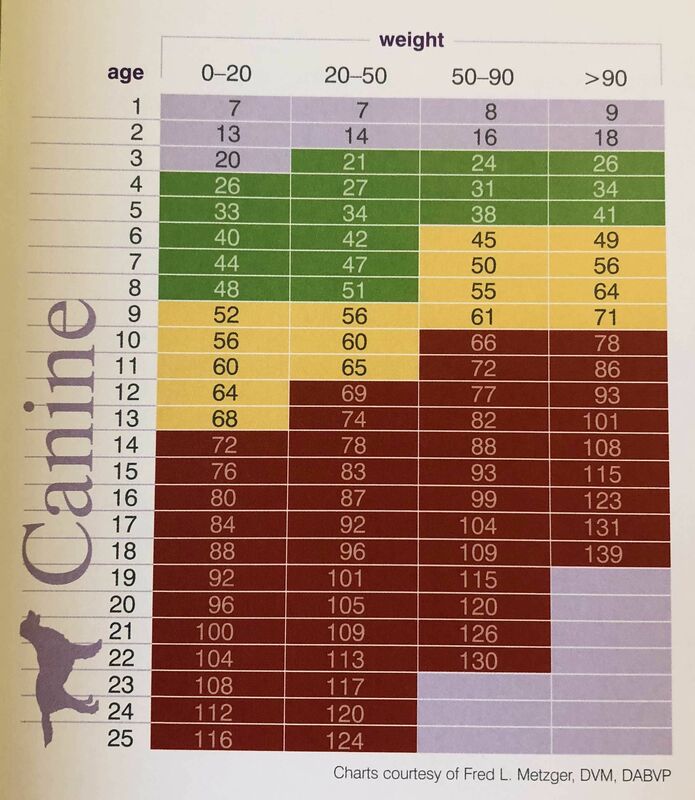 Yes, dogs do not live as long as humans, so they advance in age more than a human would every year. Aging occurs at a curved slope rather than a flat line, meaning when they are younger they age less quickly than they do as they become a more advanced age. Another factor to take into consideration is the species and size of the pet. Cats are not small dogs, so they age differently than small dogs and definitely don’t age like large breed dogs. 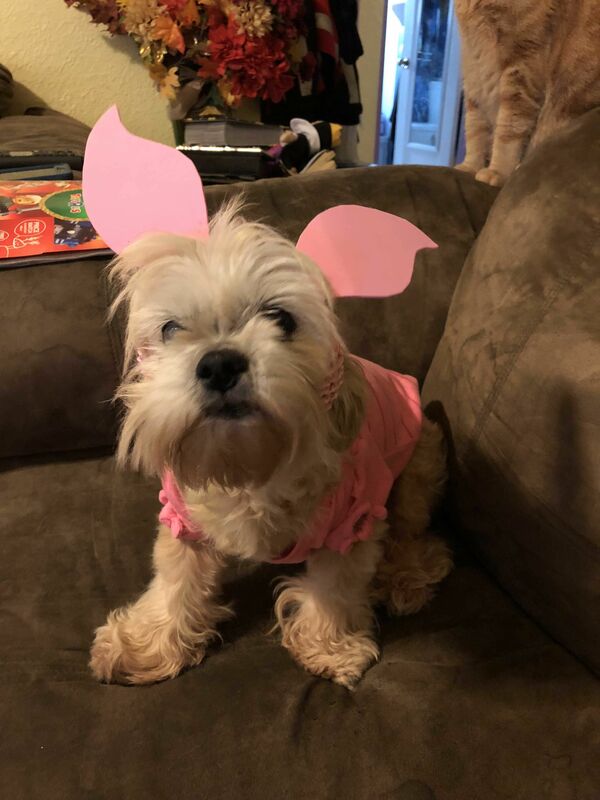 But to not be wishy washy, most people consider a senior pet to be over the age of seven years (though for extra large dogs, age five may even be considered old). Why is it important to establish not only who a senior pet is, but focus on one? Well, just like people, with age, certain things can happen. Like the title says, no, age itself is not the disease, but aged pets are more prone to disease. If we keep a closer eye on our aged critters it will allow us to potentially discover some of the signs of these diseases and intervene so that they do not progress to the point that they affect our old pet’s quality of life or be managed to allow those affected to live long and otherwise healthy lives. The first step to ensuring health is at home. Note any changes as they occur and have them addressed sooner rather than later. If Fido is gaining or losing a bunch of weight with no change in feeding or eating habits, he should probably be looked at. If Kiki is suddenly drinking like a fish and flooding her litter box, she needs to be seen. Other things that can be done include increased frequency of veterinary physical exams, currently it is recommended that older patients be examined every six months to pick up subtle changes in weight, coat, eye health, dental health, you name it! Even better than a bi-annual exam, regular blood monitoring, on an annual basis, can be ideal to detect early organ dysfunction or endocrine disease so that treatments can be established to prevent rapid progression or even reverse the condition before it becomes life-threatening. Some of the most common conditions we look for in dogs include arthritis, cancer, cognitive dysfunction, hypothyroidism, heart disease, urinary disease (including prostatic disease in male dogs), dental disease, and dry eye. Since dogs aren’t the only furry critters in our lives, the more common age-related conditions we see in cats include kidney disease, hyperthyroidism, cancer, dental disease, arthritis, diabetes, and inflammatory bowel disease. Since I know you all want your old fluffies to live forever, we all have to do our part to endure they are in tip top shape!! Call us about our special senior pet discounts this December!! Plus, stay tuned, I will be discussing some very common elder pet healthy issues in greater depth all month long, stay tuned! !